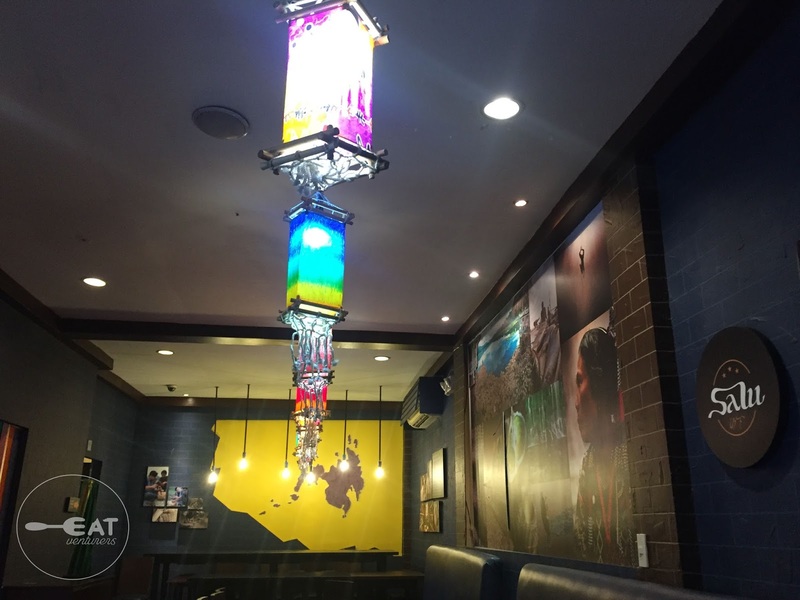 On the 119th Independence Day celebration, The Eatventurers will take you to a Filipino restaurant. 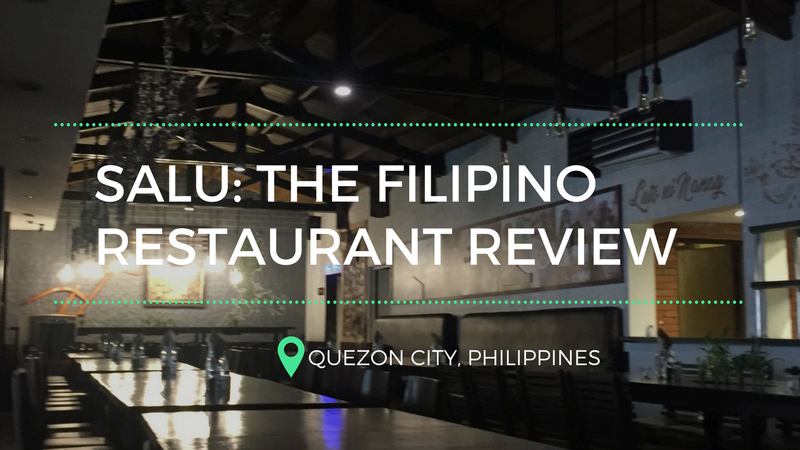 What better way to celebrate our liberty and Filipino culture but to feast on an all-authentic Filipino restaurant – SALU is a representation of that. With tagline "the Filipino restaurant," it is indeed a good place to celebrate the nation’s Independence. 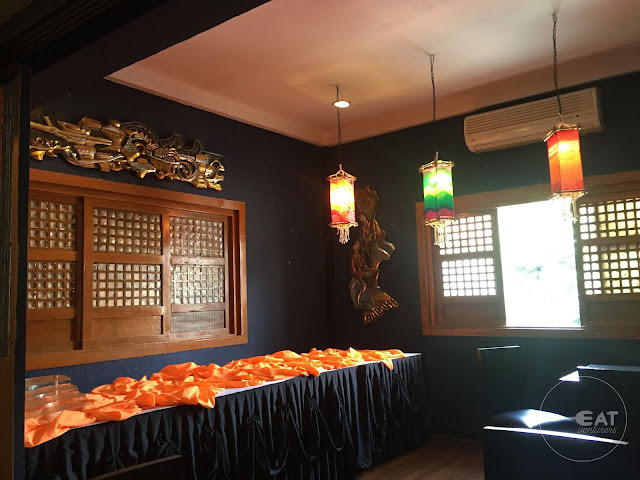 The restaurant seeks to take its guests to the 1,107 islands of the Philippines with its various dishes rooted from various provinces and are homecooked. 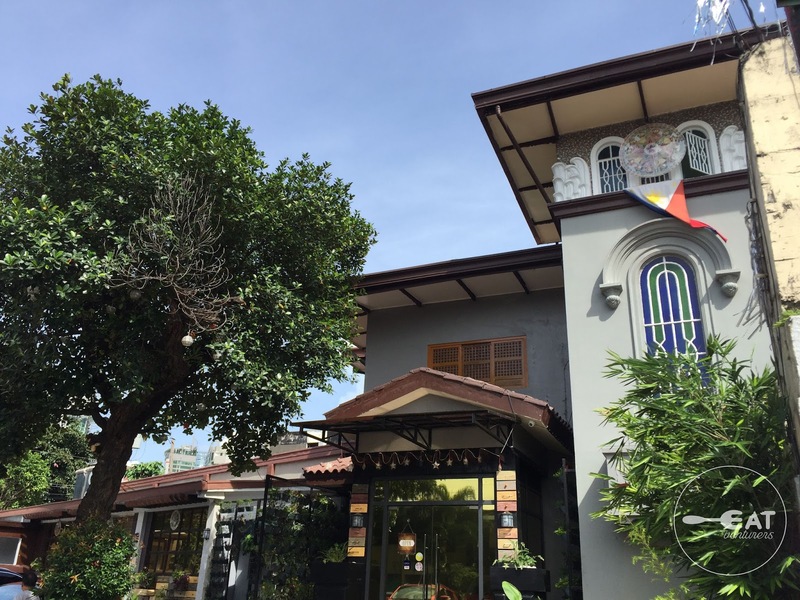 The place itself is even divided into three areas – Luzon, Visayas and Mindanao. During our visit, we tried four dishes: Cebu Lechon Belly (P595), Pancit Batil Patong (P245), Pinalutong na Sisig Hito (P215), and Ginataang Manok sa Dilaw ng Quezon (P245). The Eatventurers loved how each province has a dish representation in its menu. They also offer Filipino desserts. 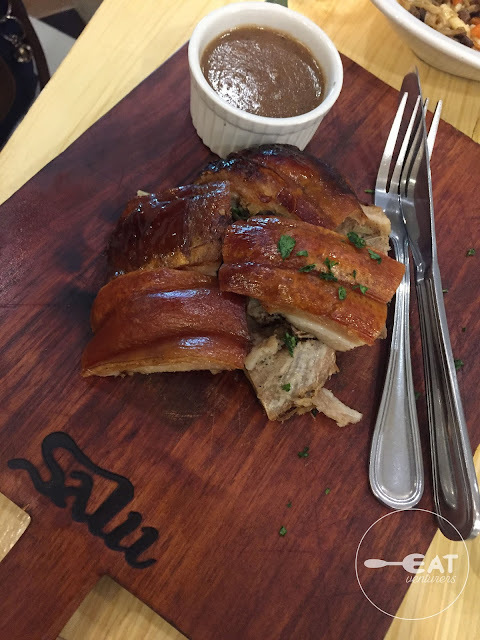 SALU vows to give their guests "Luto ni Nanay" experience. At first glance prices looked cheap, however, once served, we note that although these are for sharing, the serving is pretty small and good for only one to three persons. We still find it reasonable though, considering the delicate ingredients of the dishes. 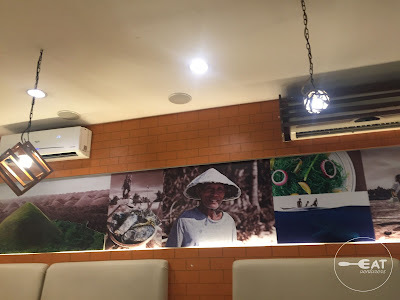 For instance, the photo of Cebu Lechon Belly looked big in the menu but our expectations and reality were played when we found out that it wasn’t so big. It could fit a small plate. Despite that, we think the Cebu Lechon Belly is as genuine as the ones in Cebu. It is indeed rich in taste. On the other hand, we found the Pancit Batil Patong different. 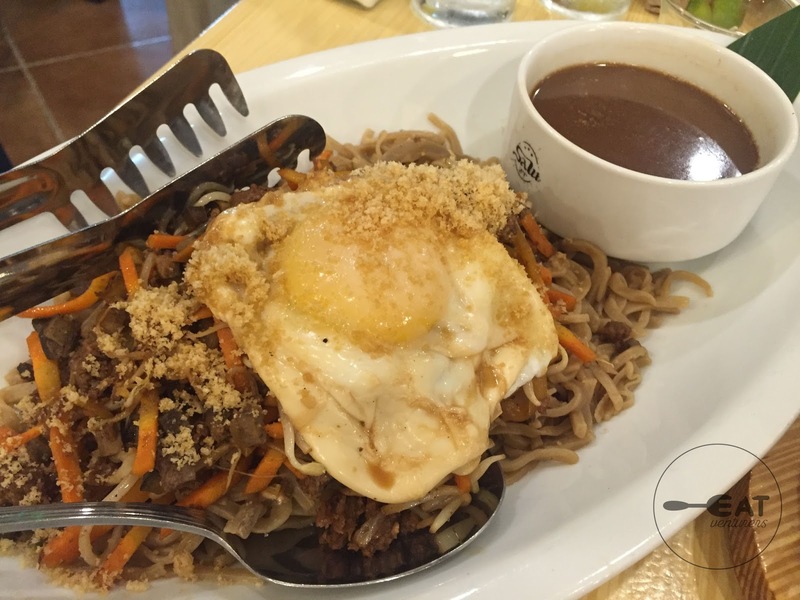 The Manam’s version of Pancit Batil Patung banked more on beef and nuts while this one is different. It had egg and a sauce, supposedly the sauce is composed of vinegar and soysauce but this one’s a little bit bland. For the third dish, we tried Pinalutong na Sisig Hito which is The Eatventurers’ favorite and recommendation. It was described as crunchy, crispy, creative, unique and unforgettable in the menu and it lived up to that. 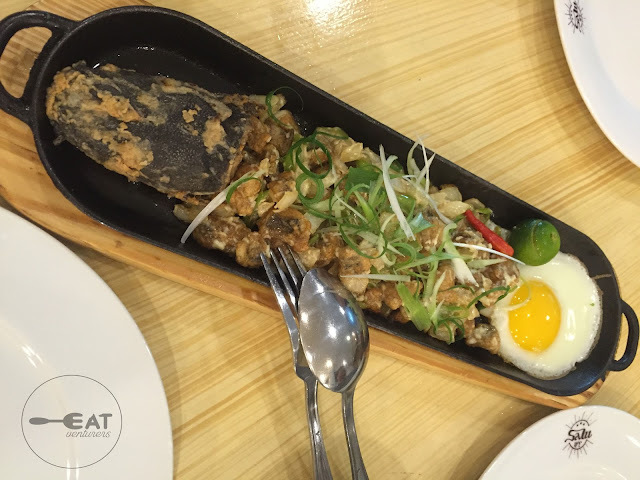 The sisig hito is served sizzling style with egg and chilis and what’s unique about it is that the catfish’s head was also placed in the sizzling plate. Last dish we tried is the, Ginataang Manok sa Dilaw ng Quezon. Salu described it as Quezon’s version of turkey treat – juicy, slow-cooked chicken in Lucban vinegar, sili leaves and turmeric. It will remind you of local yellow curry but it is slightly different tasting because of the vinegar. 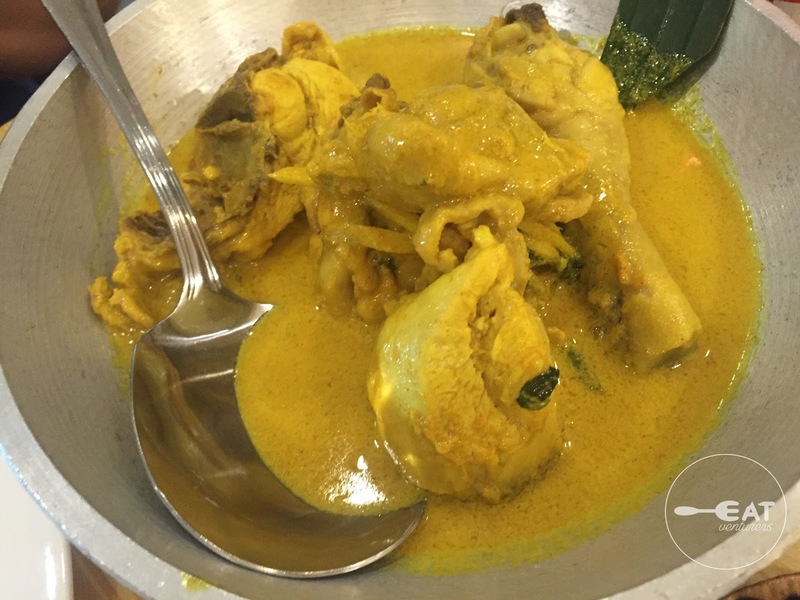 Those who love coconut milk will like this dish. We commend the service of SALU crew as dishes were served on time and each area has servers to attend to their guests’ needs. 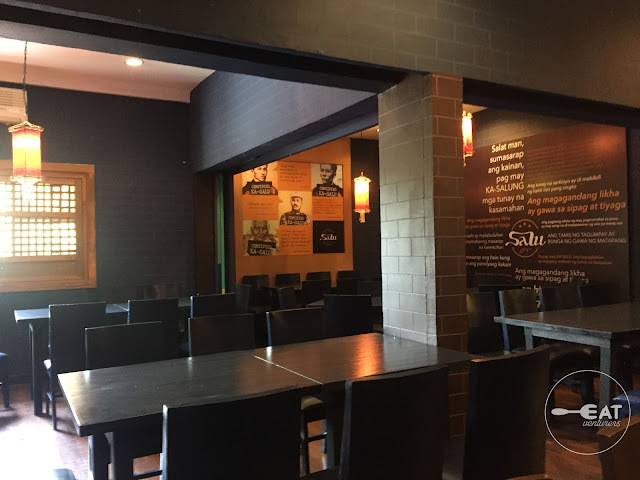 SALU is a good place for gathering as it can house hundreds of guests at a time with enough parking space. Dining Supervisor and Marketing Officer Steve Romero also told us that the restaurant is open for reservations for family gatherings, weddings, and other milestone events. And if you are looking for authentic Filipino restaurant, this is definitely it. 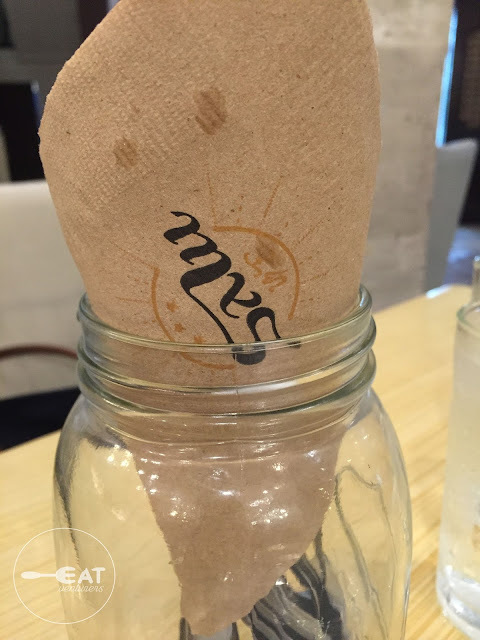 The place and food are all amazing. I miss eating Filipino foods, it's so hard being an OFW LOL! marami kang ma mimiss especially pagkain.